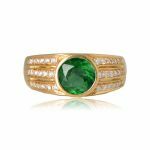 An Impressive emerald and diamond halo ring that centers a 5.11-carat natural Colombian emerald with excellent saturation. 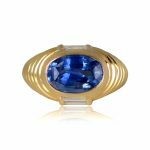 Surrounding the gemstone is a halo of baguette cut diamonds. 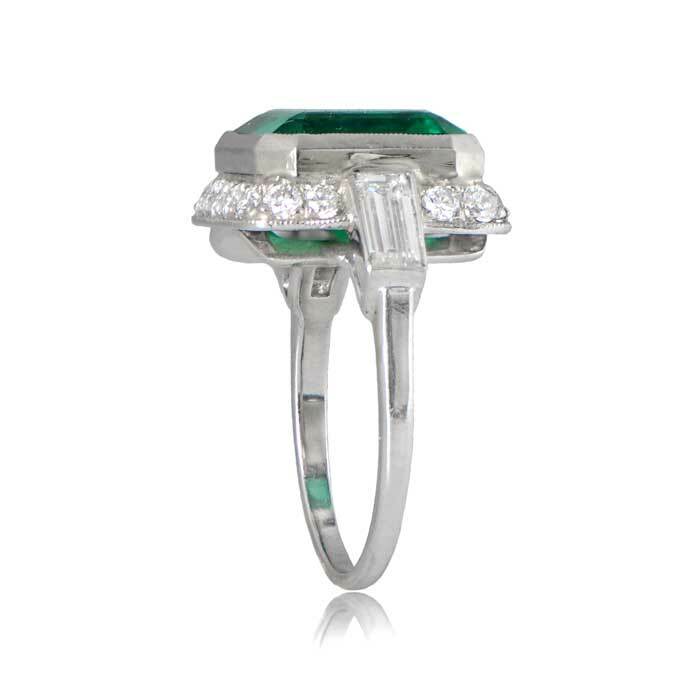 Along the shoulders are two baguette cut diamonds. 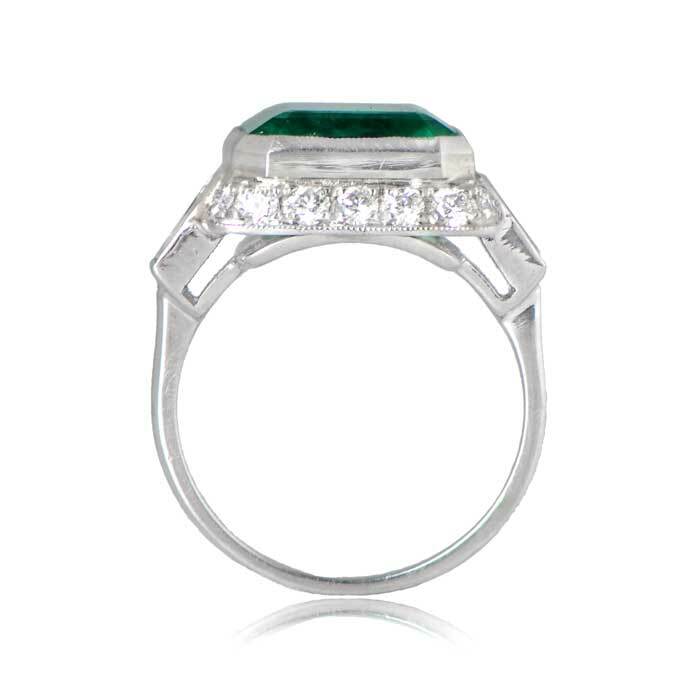 This ring is platinum and was crafted circa 1980.
the center natural emerald is Colombian and is certified Gubelin. 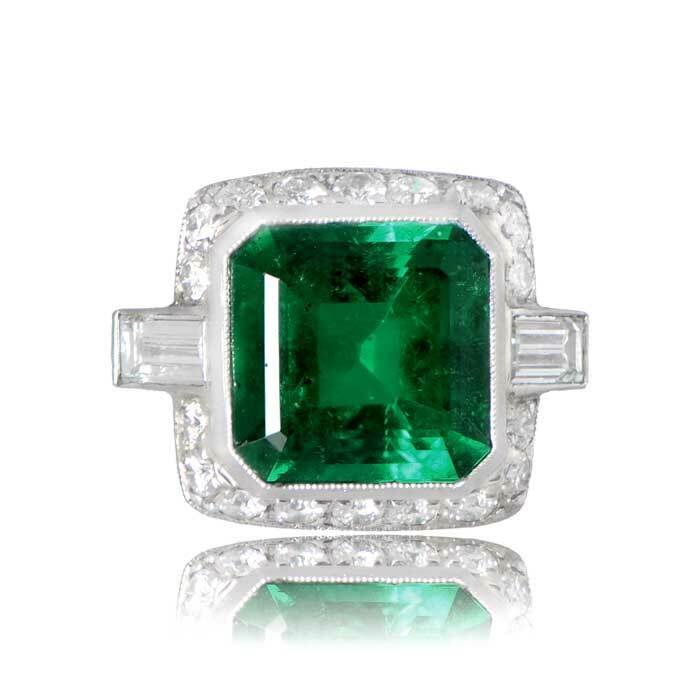 SKU: Y11897 Categories: Emerald Engagement Rings, Vintage Cocktail Rings, Vintage Engagement Rings - Contact us and request additional pictures.